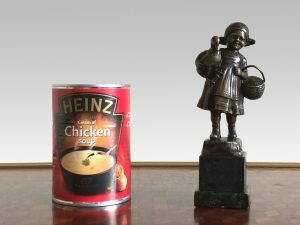 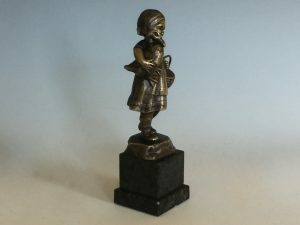 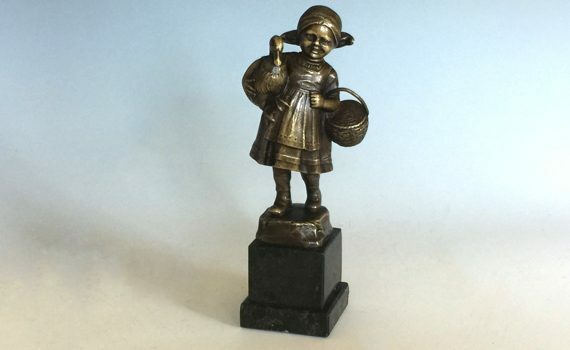 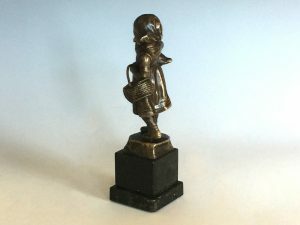 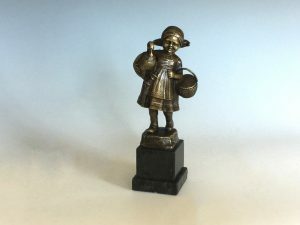 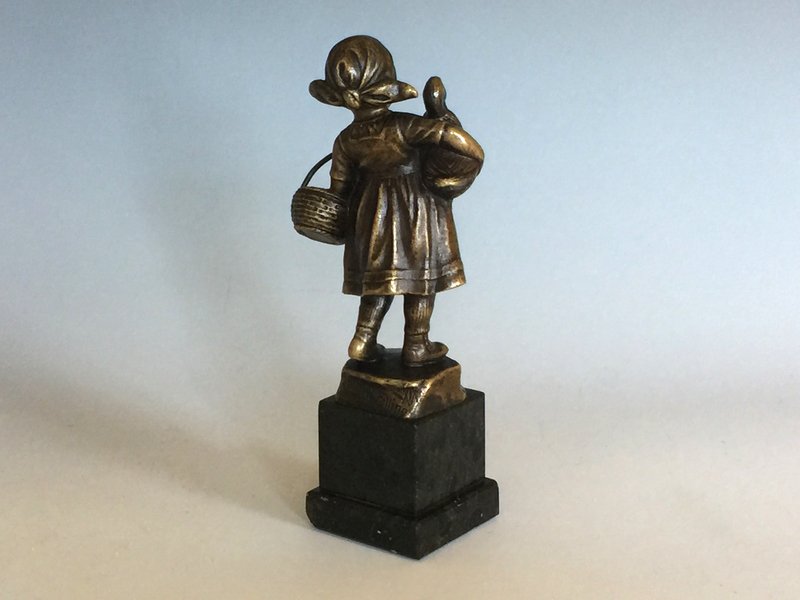 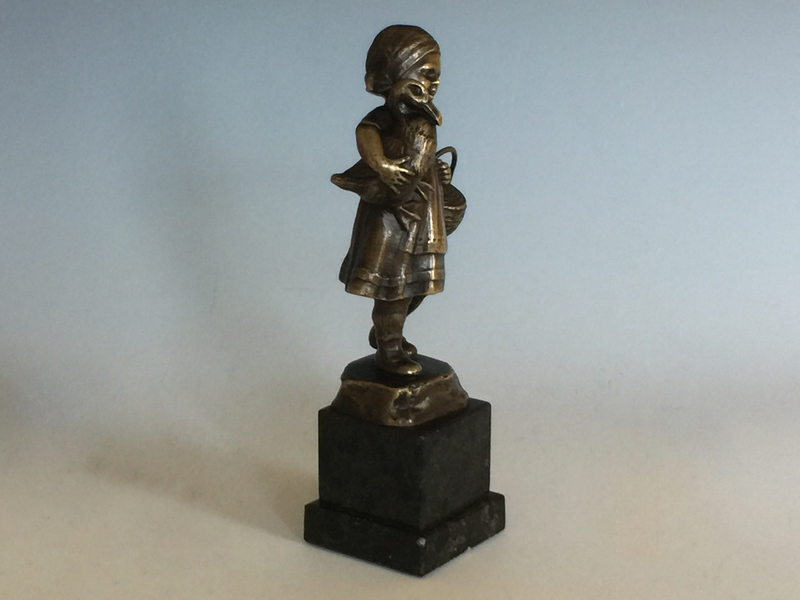 An early 20th century bronze figure of a young farm girl carrying a goose under one arm and a basket on the other. Signed to the reverse ‘Schmidt Felling XIX’. 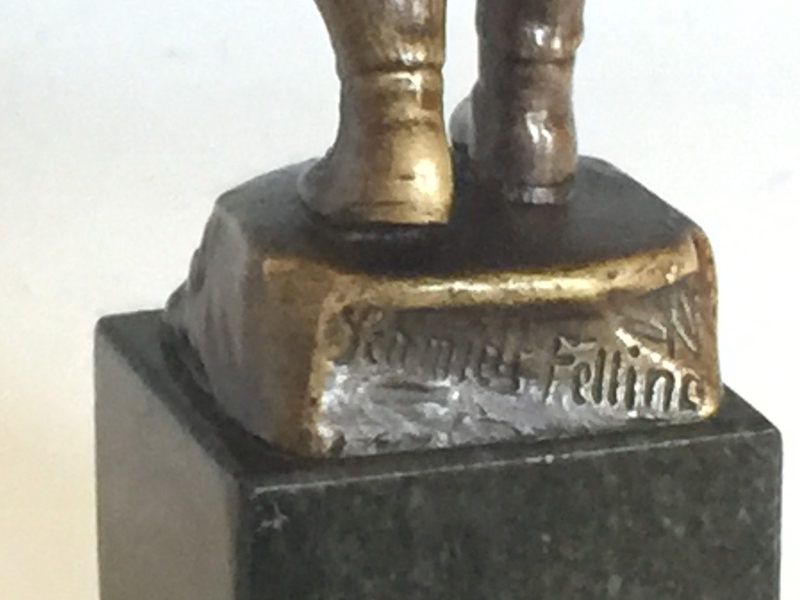 Standing on a stepped marble plinth base. 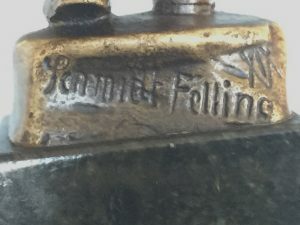 Original brown/green patination.